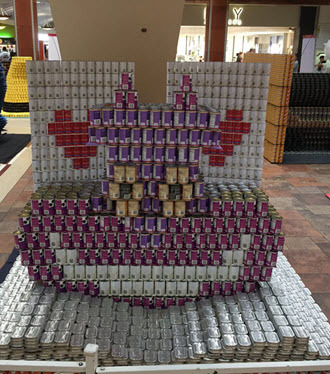 For the 13th year competing teams, lead by architects builders and allied design and engineering professionals, will showcase their talents by designing giant sculptures made entirely out of canned foods. Canstruction® combines the competitive spirit of a design/build competition with a unique way to help feed hungry people. 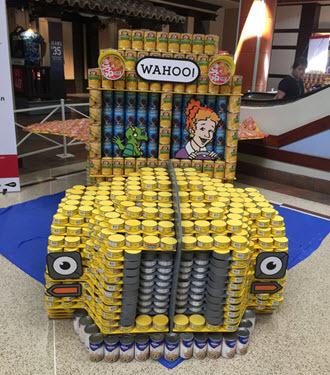 13th Annual CANSTRUCTION 2018 - Comic-CAN! A collection meals for our local community that brings stories to life and life to stories...One Can at a Time. Over the past 12 years 377,042 pounds of food has been raised to help feed the hungry in Hawaii – providing 295,766 meals. 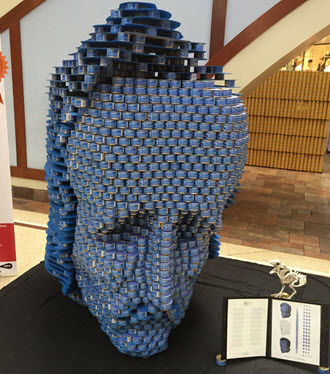 On Canstruction day bring your children (5-12) + 5 cans of food for donation and help build an oversized "CAN-struction”. One Can. One Vote! 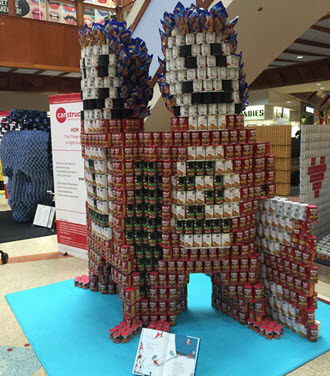 Visit Canstruction at Pearlridge between Oct. 6 - Oct. 20 and bring canned food to vote for your favorite. Place the cans in the shopping cart in front of each can-structure! 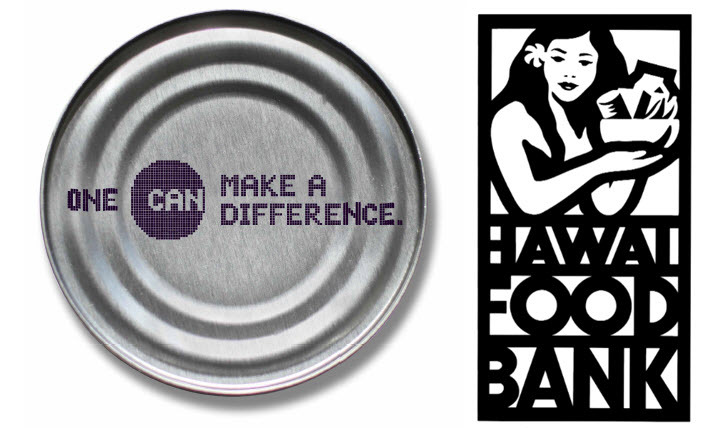 All cans will be donated to the Hawaii FoodBank to help feed our less fortunate communities. Hunger affects thousands in our community - a reality we sometimes wish was fiction. 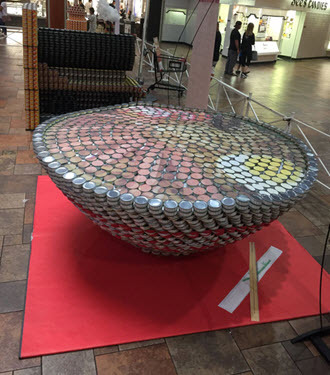 This year’s Canstruction competition hopes to reach the next level in our fight against hunger. Our “Comic-CAN” theme focuses on ideas that stem from comic books, science fiction & fantasy, and gaming. 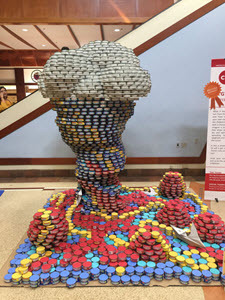 Teams within Hawai’i’s design and construction industry are encouraged to bring to life their own unique Canstruction creations. 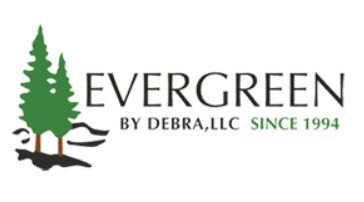 Rush to grab a spot to design and build structures that reflect larger-than-life characters, inspirational stories, and fantastical worlds that harness our imaginations and feed those in need. Enter Online: Enter your team online today and secure your spot. 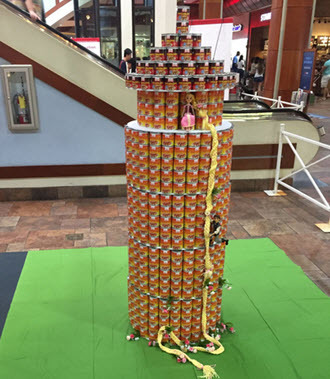 Questions: Email Elyse Takashige, AIA, Canstruction Committee Chair. 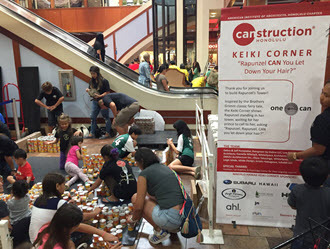 The theme for our 12th Annual CANstruction® Competition took place on September 30 at Pearlridge Center's Uptown Center Court. The theme was "Browse a Library of CANstructures!" 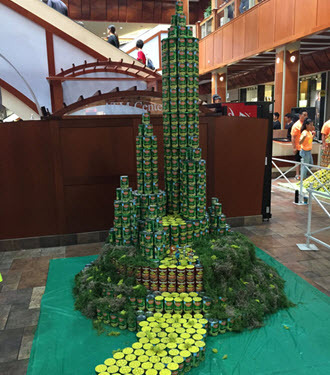 and in that spirit, 11 amazing teams of talented local architects, engineers and allied design professionals “canstructed” giant structures made entirely of thousands of cans of food. 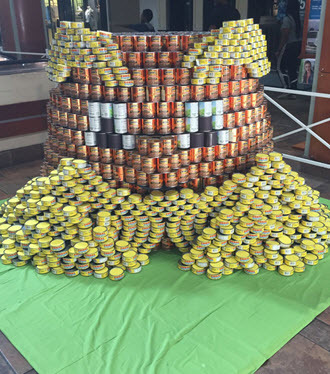 All cans were donated to the Hawaii Foodbank and in 2017 our competition raised a total of 24,494 pounds of food, which equals to 19,286 meals to feed Hawaii’s hungry! "The Things We Do to Fight Hunger"
"Rapunzel CAN You Let Down Your Hair?" Others to Stand Up to Hunger"
"Together We CAN School Hunger"
"We’re Not in CANsas Anymore!" A Kids Can Corner structure was also created today by AIA Honolulu member-architects, allied design professionals and hundreds of island keiki who brought at least five cans of food as a donation to the Hawaii Foodbank. 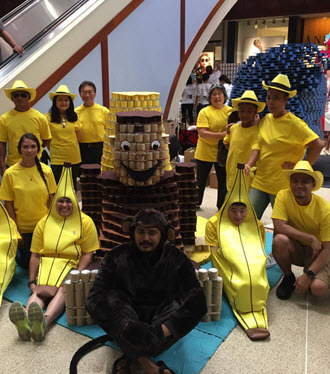 Scores of kids helped to build Rapunzel and her tower – from the Grimm Brothers’ classic – in this keiki building zone. 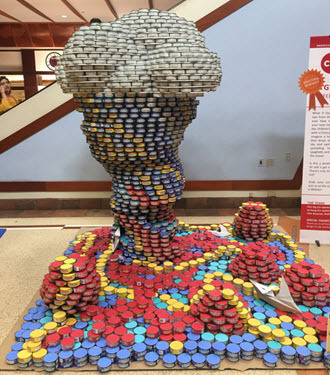 The Kids Can Corner structure also participates as part of Canstruction® competition and may receive votes through canned-food donations, though it was not judged for juried awards by the panel. 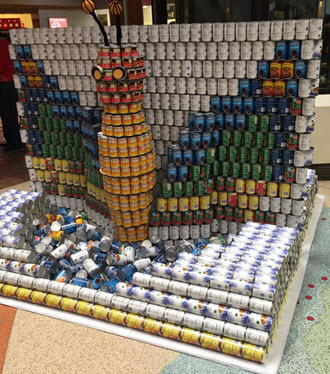 View past winners & entrants from our 1st - 11th Canstruction® Competitions. 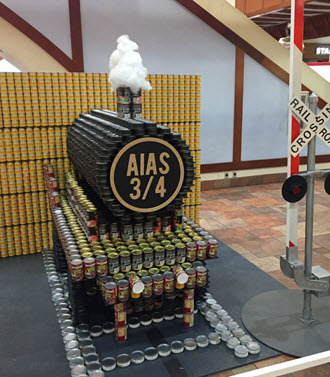 Photos of the AIA Honolulu Canstruction® competion are available for media purposes by contacting AIA Honolulu.